The search is on for a driver in a deadly hit and run crash. It happened Christmas night in Hanford at about 8:45 at 11th and Hume. HANFORD, Calif. (KFSN) -- Police in Hanford are now looking for these three people: 21-year-old Abraham Chavez, 19-year-old Angel Castillo, and 18-year-old Zoe Barrios in connection with a Christmas Day hit and run that left Raymond Romero Jr. dead. Monique Avalos says her cousin was hard-working and humble. He and his fiance had two boys and their family was growing. That was discussed during a family Christmas get-together in Corcoran on Monday. Avalos said, "We were talking about his baby that was supposed to be coming next month and we were just joking around because he has two boys and he finally had his little girl." Because as he and his family were driving home to Hanford, police say an SUV likely ran a red light and crashed into his white Chevy Impala. Avalos says her cousin was just blocks away from home. "I drove by there and I saw my cousin's car all smashed, I seen his side all smashed in and I knew it was my cousin that passed away. His side was so smashed in that they had to cut the car apart to get him out and I knew he didn't make it, I knew, I knew he didn't make it." Police say the suspects, Chavez and Castillo, ran from the scene, and Romero died there, while his little cousin and his two boys were life-flighted to Fresno area hospitals. 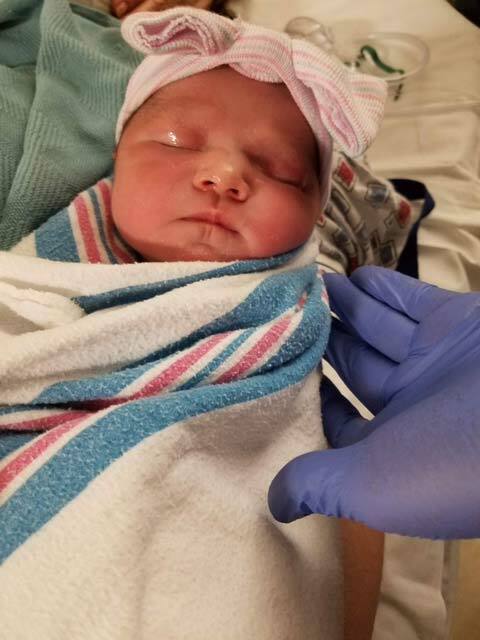 His pregnant fiance, who was sitting in the passenger seat, was brought to a Visalia hospital, where she had an emergency c-section. Family members say she has neck fractures, but her baby girl is healthy but she'll never get to meet her father. Family members say his sons adored him, and will deeply miss him. The tragedy has his whole family hurting. "We have to bury our loved one and Christmas is never going to be the same, because my cousin's gone, never going to be the same." Family has set up a GoFundMe to help with funeral expenses. They'll also hold a candlelight vigil Tuesday night at eight, at the location where Romero died.